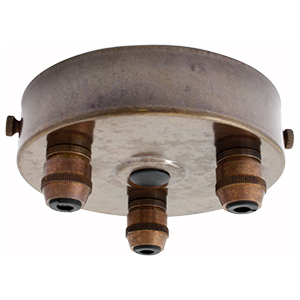 Nickel ceiling rose available with 1-8 drops. 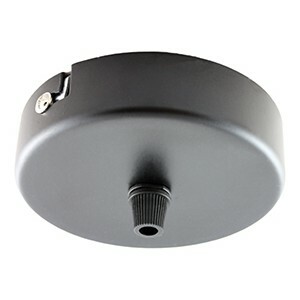 Ideal for creating ‘swag’ pendant lights when used with ceiling hooks. Made in the UK – we drill and assemble each rose by hand in our studio. Unlike cheaper alternatives these roses have matching nickel cable grips – no cheap plastic. The cable grips will hold both round and twist fabric cable. 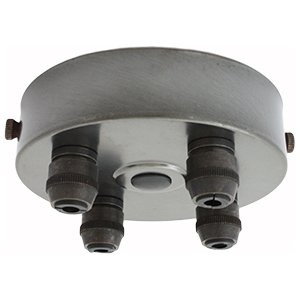 Each rose comes with a steel mounting bracket with earth terminal. The bracket is fixed to the rose with knurled nickel thumb screws. Diameter 100mm, height (excluding cable grips) 25mm. Please note the ceiling rose is only large enough to house the electrical connections for the 1-4 drop versions. 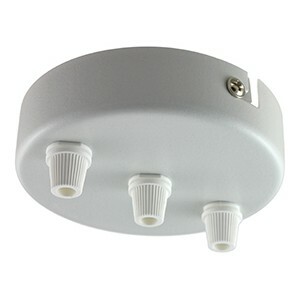 Electrical connections for the 5-8 drop versions will need to be made in a suitable non-combustible enclosure in the ceiling void. 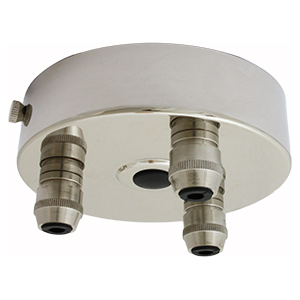 Must be earthed and installed in accordance with current regulations and by a competent person only.